Rainbows end right here! This is the perfect large two level family home or potential conversion to granny flat or potential double rental stream! On an elevated full site, with pleasant views out over the valley to the Rangitoto Channel and Takapuna, take your pick as to how you utilise this spacious home. Currently configured as a renovated 3 brm family home upstairs with open plan living, high pitched ceilings and easy flow out to a conservatory on one side and deck, lawn and pool (solar heated, perfect kiddies depth, fenced deck surround) on the other side. It's an entertainers' delight! An oversize double garage/workshop is a nice bonus! The huge basement rumpus is currently partitioned and self-contained. Was rented out for the last 5 years however the closed internal staircase allows for it to be returned to one large 4/5brm and/or rumpus family home if that is your preference. Bring all the teenagers, the extended family, the overseas students, the pooch or set up your home office...the options are many! 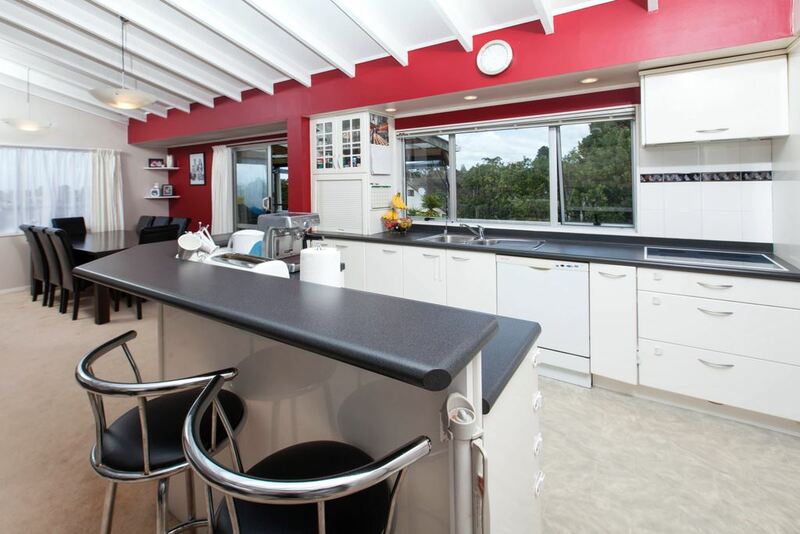 Potentially reap overall rental $860pw ($300pw downstairs and $560pw upstairs)...a very good rental return! My vendors have committed to their next move. Come and get your pot of gold!